LA’s best queer writers, performers, and actors take the stage at 11PM for Drama Club– where they write and perform monologues for you on the spot! 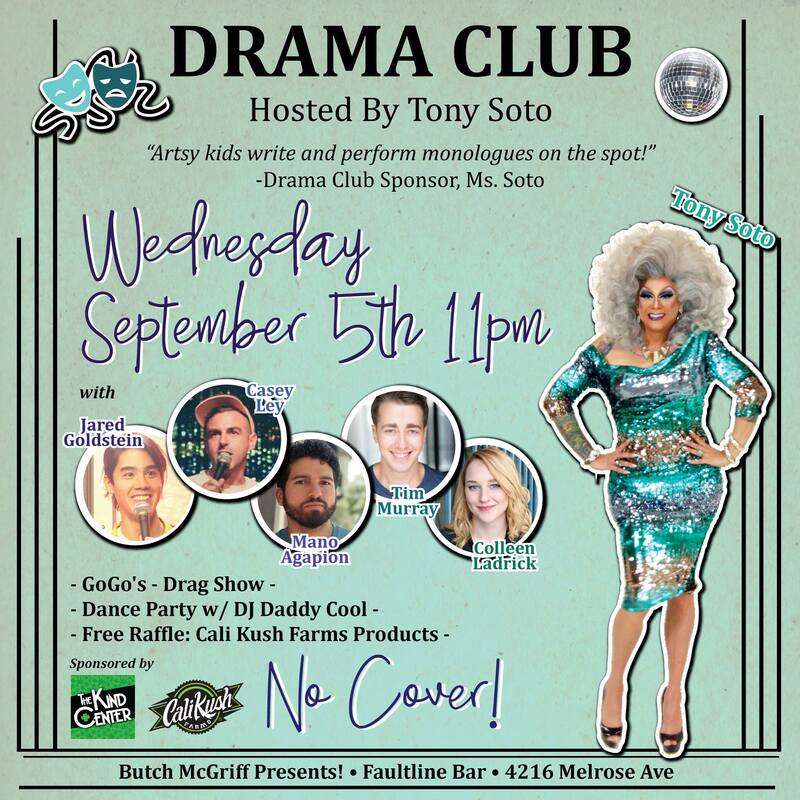 Drag Show and GoGo Dance Party to follow! NO COVER! Cali Kush Farms Product Raffle!